Due to her serious mental health issues, Emily Hatton from Sandbach, Cheshire was told that she would never be able to live in the community on her own. That was before she found gorgeous black-and-white moggy Arthur. Arthur arrived in Emily’s life in 2017, just after she had been discharged from a mental health unit. Since then, Emily has been able to live independently for the longest period in her adult life – an achievement she credits Arthur with making possible. 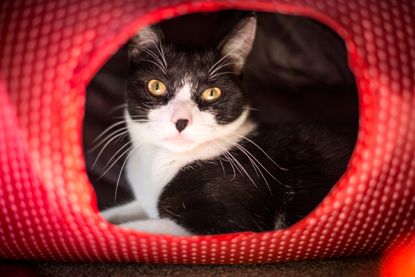 “Arthur is proof that cats can change people’s lives because he’s changed mine,” said Emily. “Since the age of 16 I’ve been in and out of mental health wards, with 18 admissions up to the age of 21. “Last year I came out of hospital after a three-and-a-half year admission to a mental health unit. That’s when I got Arthur and since then I’ve not been back in hospital once with my mental health. “He’s always there, he’s my best friend. Coming out of hospital after so long, I needed a best friend and that’s what he became. 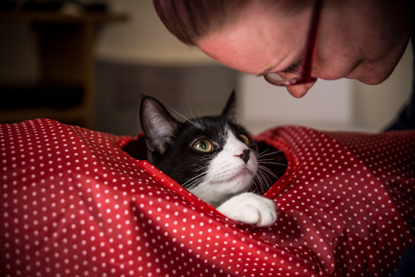 In August 2018, Arthur won the Most Caring Cat award at Cats Protection’s National Cat Awards because of his positive impact on Emily’s life. After collecting the award on Arthur’s behalf. Emily said: “I’m over the moon that Arthur has won this award as he has really changed my life. 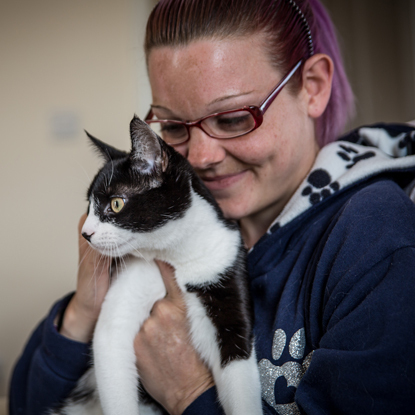 I hope our story will help more people understand just how much cats can help people with mental health issues. 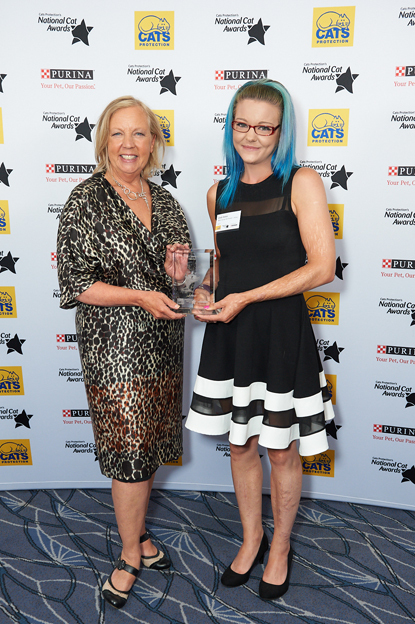 Arthur was chosen as the winner by celebrity judge Deborah Meaden, who presented Emily with the award at a star-studded ceremony at London’s Savoy Hotel. Deborah said: “Emily and Arthur were the choice for me as I have a sense of the ongoing and daily support that Emily has from Arthur in simply living her everyday life.